There are close to a million hip and knee replacements performed annually in the US. 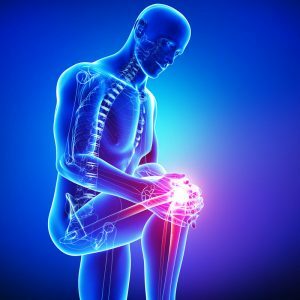 While most of the procedures end up doing very well, joint replacements are elective and should only be performed after all attempts at conservative treatment have been accomplished. 1. Medications – the best pain medications for arthritis relief are anti-inflammatory medications. While anti-inflammatory medication does have some side effects possible, they are not addictive. If narcotics are used, they should be limited to short term exacerbation periods. Topical pain creams or patches are an excellent relief method which can be customized to individuals. 2. Physical therapy – by strengthening up the muscles around arthritic joints, pain can be substantially relieved. Also, modalities such as ultrasound and electrical stimulation may help considerably. 3. Cane and Bracing – Bracing for knee arthritis can help offload the arthritic part nicely. A cane is an inexpensive, easy treatment that can unload a painful joint by over 50%. 4. 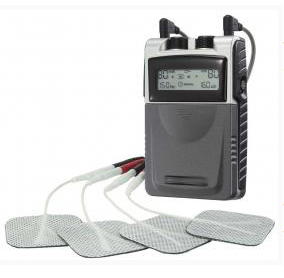 TENS unit – a TENS unit is about the size of an ipod and is battery powered. Foam pads emit slight electrical impulses through the skin, and alter the way the brain perceives pain signals. 5. Steroid Injections – These have been used for decades for hip and knee arthritis. They may provide excellent relief for months at a time, and then be repeated as necessary. 6. Hyaluronic Acid Injections – these have been FDA approved for years and include such brand names as Synvisc. They have been shown to provide excellent relief in over 70% of patients for over 6 months. 7. Radiofrequency Ablation – this has been a new procedure for arthritis of the hip and knee. The treatment involves deadening the sensory nerves around the joints, and is truly a cutting edge procedure. 8. Acupuncture – several research projects have shown the benefit of acupuncture for degenerative arthritis. 9. Stem Cell Procedures – these are now mainstream, and involv e injection of stem cell material to achieve relief. These procedures are outpatient and very low risk. They are not covered by insurance yet as the technology is so new. Seattle Pain Relief offers the top pain management treatment in Seattle, Tacoma and Federal Way. Most insurance is accepted including PPO’s, Workers Compensation and Personal Injury Liens. The Seattle pain doctor is Double Board Certified and the success rate exceeds 90% overall for helping patients avoid surgery and achieve relief!